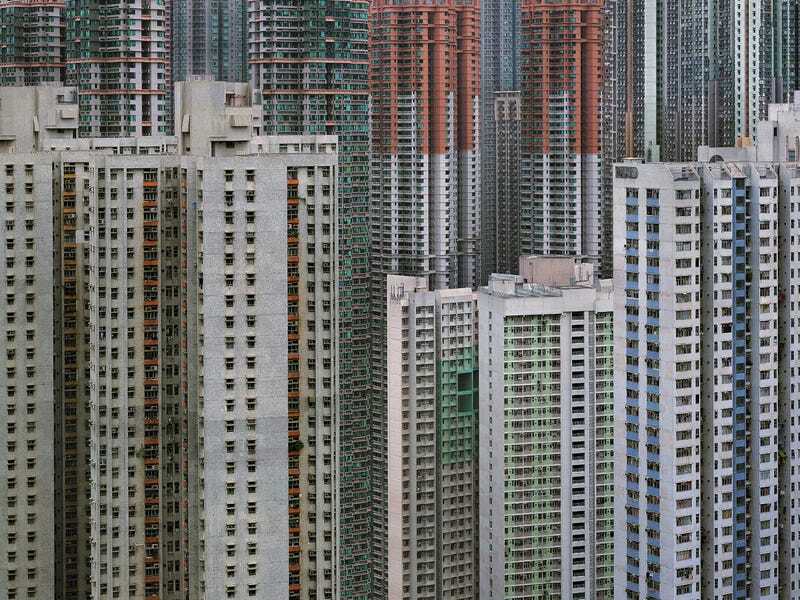 German photographer Michael Wolf captures the aging high-rise culture of Hong Kong, which has more buildings over five hundred feet tall than any other city in the world. The results are so stunning, you'll swear they're somehow faked. 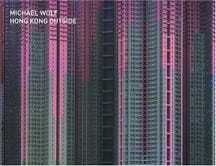 The modern face of Hong Kong was formed, like New York and Chicago, by a fire. In 1953, as refugees from mainland China surged into Hong Kong, one of the city’s largest slums burned to the ground, tens of thousands homeless. The British governor at the time, Alexander Grantham, saw a solution in an emerging form of modern architecture: the prefabricated concrete tower. Wolf moved to Hong Kong in 1994, three years before the official handover from England to China. But as his photos attest, Grantham’s fingerprint endures, in the towers that make up the bulk of the city’s low-income housing stock. In Wolf’s new book, The Architecture of Density, he collects some of his most staggering architectural photos of the city’s supertalls. We’ve seen the city from above and below, but straight on is somehow more dramatic, right? You’re probably wondering how much doctoring these photos received. The answer? Surprisingly little. There’s not much Photoshop trickery here, just a few adjustments to remove things like the horizon line and any errant patches of sky. The buildings themselves actually exist as they’re shown: a repetitive network of floor plates and windows, which often bear a hint at the lives inside thanks to errant hanging laundry and souped up a/c units.